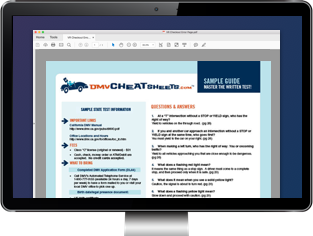 The Alaska Division of Motor Vehicles (DMV) provides many of its forms online for you to download and print. If you do not have Adobe Reader, you can download the latest free version to access the form you're looking for. All forms are also available at any driver license office or title and registration office. If you're looking manuals, you can head over to our pages with the AK driver handbook and the Alaska motorcycle manual. If you didn't find the form you need above, check the Alaska DMV website's list of forms. If you need help filling out any form you can contact the AK DMV at (907) 269-5551. Use this form to apply for an Alaska driver's license, ID card, or permit IF you live in an area without access to a DMV office AND have a digital photo on file with the DMV. Vision test portion MUST be completed by a medical practitioner. Use this AK DMV form when transferring the title of a vehicle into your name if you are the successor to an estate valued at $150,000 or less. Use this form to certify your purchase of a boat with the Alaska DMV. Use this form to title a home-built trailer. MUST be filled out by the trailer's builder. MUST be notarized OR signed by a DMV representative. Request a duplicate Alaska vehicle title from the DMV. MUST be notarized OR signed by an employee at the Alaska Division of Motor Vehicles. Apply for personalized or specialized license plates with the Alaska DMV. Apply for a new, duplicate, OR renewal boat registration from the Alaska DMV. Also used to transfer ownership of a boat. Use this form when applying for a vehicle registration exemption in Alaska because you're only in the state for military purposes and are not an AK resident. MUST be signed by your commanding officer. Notify the Alaska DMV of your intent to sell a vehicle. Complete this form when buying or selling a vehicle in Alaska to disclose the number of miles on it. MUST be signed by both the buyer and seller. Give power of attorney to another person over a vehicle you own. MUST be notarized or signed by a DMV representative. Submit this form to the Alaska DMV if you are 65 years old or older and applying for a registration fee exemption for a vehicle. MUST be submitted in person to the Division of Motor Vehicles OR notarized. Use this form to request an Alaska motor vehicle record for purposes allowed by law. Use this form to transfer ownership of a snow machine or ATV between parties. Request an administrative hearing to contest a verdict related to a driving or motor vehicle infraction. Also use this form to request a temporary driver's license in certain cases. Fill this form out to verify you have insurance after you've been involved in an auto accident. Fax or mail it to the DMV within 15 days of the accident. Applicants for an Alaska CDL must undergo a medical exam and submit this report to the DMV. Report must be completed by a doctor. Apply for an Alaska disability permit or disability plates. MUST be filled out by a physician. Use this form to register to vote in Alaska.